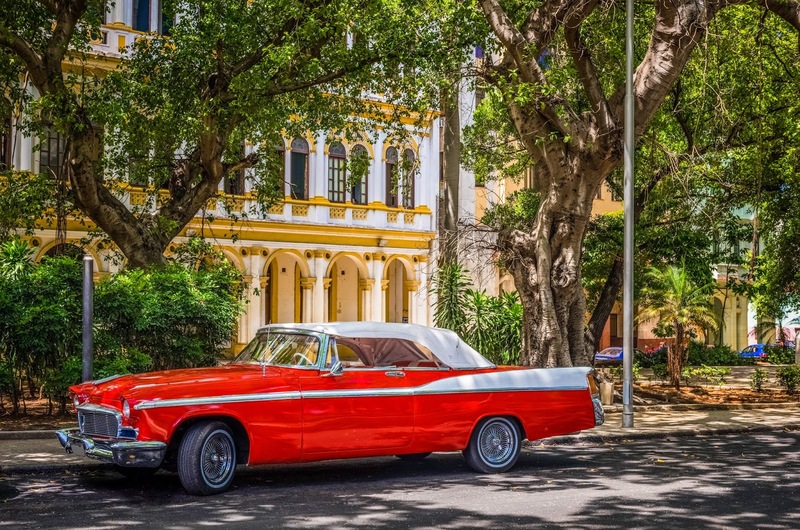 Now that the blistering summer heat has finally begun to relax, it’s the perfect time to drop the top and take a scenic drive along your favorite highways. With temperatures in the triple-digits recently, there’s been little relief from the heat even with the convertible top (and gas pedal) all the way down. So, now that the first hints of a cool breeze have begun to tease us from the not so distant future, we’ve decided to review a few of our favorite drives to close out this amazing summer season. Driving through the Chattahoochee National Forest in Georgia, which connects with Nantahala National Forest in Tennessee, provides a breathtaking view of the diverse flora and fauna native to the Southeast USA. The Russell-Brasstown National Scenic Byway and Cohutta-Chattahoochee Scenic Byway provide an up-close and personal view of the unique landscape, as well as the Civil War battle sites and other sites of historic significance. These scenic highways have plenty of places to stop and enjoy the view with the Cohutta Mountains and Appalachian Mountains providing a spectacular view of North Georgia. The Swiss Alps of Texas is a 125 mile loop touring the Texas Hill Country centered around the town of Leakey, Texas. This scenic drive crosses several rivers that provide beautiful swimming, white-water rafting, and plenty of other recreational opportunities. The elevation ranges from 1,500 to 2,400 feet above sea-level with plenty of high hills and canyons to enjoy. On this drive you may encounter tight turns and the slight potential of falling rocks, but the views and experience are worth it! The drive passes through the town of Bandera, which is the Cowboy Capital of Texas. Driving around the Finger Lakes provides a beautiful view of Central New York. The Finger Lakes has breathtaking waterfalls with extensive gorges and colorful sunsets. These lakes were created by continental glaciers and the area is now home to many unique plants and animals. The Finger Lakes region and surrounding area is home to over 100 wineries producing a wide range of varietals including Chardonnay, Pinot Noir, Riesling, and more. 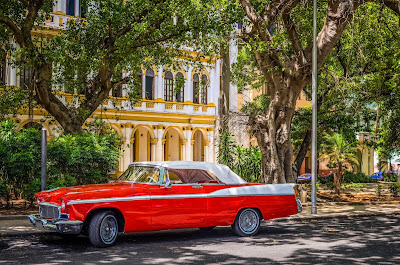 While you don’t have to get out of your convertible to enjoy this drive, there are plenty of activities to enjoy including hiking, swimming, and visiting the local museums. Take U.S. 1 in southern Florida to embark on one of the most fun beachfront drives of your life! U.S. 1 will take you from Key West all the way into Jacksonville, but you don’t have to go that far! The Florida Keys offer plenty of sunshine and highway to enjoy with amazing stops along the way. From delicious seafood and fine dining to deep sea fishing and scuba diving, the Florida Keys has it all! These are all exhilarating drives for any time of year, but late summer provides great weather and plenty of sunshine to enjoy these drives to the fullest. What are your favorite scenic drives for the summer? Share your thoughts in the comments below! Like all cars, convertibles can get pretty hot during the summer months. 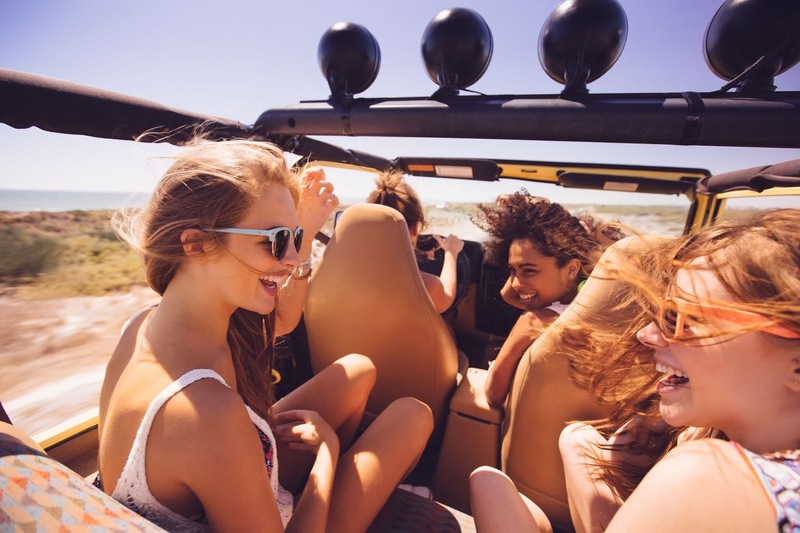 Whether you’re driving a hard or soft top convertible, you can’t always leave the top or windows down. Heat can damage your car just like cold weather and, over time, can cause parts to age and deteriorate prematurely. So, we’ve pulled together a few tips for keeping your car cool during the hot summer months. Tinted windows not only make your car look sleeker while providing increased privacy, tinted windows will also keep your car cooler than non-tinted windows. Tinted windows block the sun’s rays that generate heat while letting some of the rays that generate light pass through. Depending on the type of tint you choose, the tint can provide up to 80% solar heat rejection for your car. Your local installer will have information regarding the solar heat rejection rates of various window tints and should be able to explain the different types. Whether in a garage or in the shade, covered parking provides an excellent means of reducing heat transferred to your car. Covered parking also allows you to park with the windows slightly cracked without any concern of passing rain showers. Pay close attention to where shaded parking spots are when you’re leaving work and other places you frequently visit rather than focusing on finding a shaded space when you arrive. Placing a sun shade in the front and back windows of your car can greatly reduce the internal temperature. Not only will this reduce the ambient temperature in your car, it will also vastly reduce the temperature of the metal seatbelts, steering wheel, and other interior parts known for reaching blazingly hot temperatures during the summer months. Sun shades are extremely affordable and can fold up to easily fit in your glove box or center console. There are plenty of battery and solar-powered fans for car windows that are extremely effective. From small, compact window fans to units that cover the entire car window, these units can be extremely affordable and useful during the summer. Most car window fans fit along the top of the window and are secured as the window is rolled up. There are units that pull out odors and hot air while providing cool, fresh air in its place and portable, compact units that can fit virtually any vehicle. A great way to quickly cool off your car is to install a remote start feature. Using this feature while leaving the A/C on full force will help immediately start cooling down your car with the push of a button. The air conditioning in most cars takes a few seconds to start blowing cold, so that time can be spent walking to your car and preparing for departure. Once you are ready to drive, the A/C is blowing cold and the car’s temperature will already be on the decline. Using a combination of these tips will ensure that your car stays cool and comfortable all summer long – convertible or not! The internal temperature in your car can climb extremely fast and staying cool during the summer is the best way to ensure your driving is not affected by the heat. What are your best tips for keeping your car cool during the hot summer months? Share your thoughts in the comments below!